What can we learn from those in ministry who have been in the trenches for many years? What benefit can we receive from those who have laid the foundation for ministers in ages past? 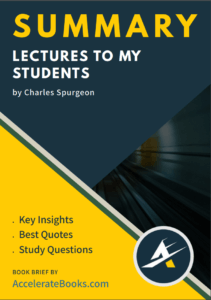 For young pastors and those training from their calling of ministry it is important to learn from men like Charles Spurgeon. 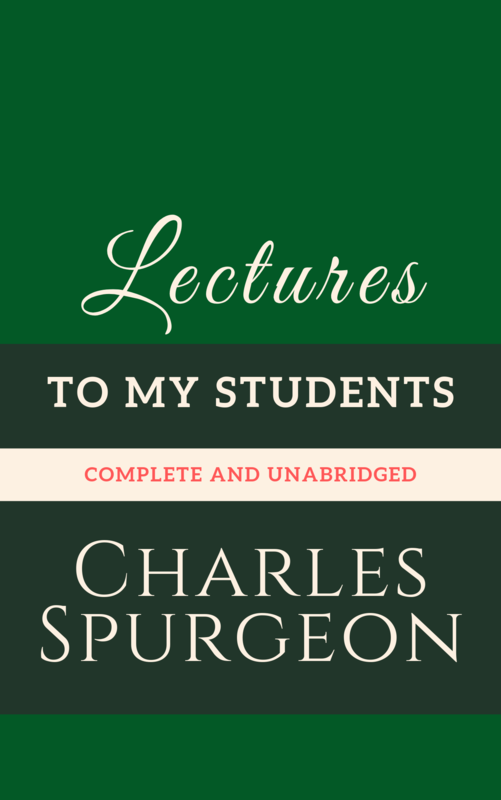 In his work, Lectures To My Students, Mr. Spurgeon provides readers with a biblically saturated look at the life of a minister. The book moves swiftly through topics of ones call to ministry as well as the styles and substance of preaching while leaning on the great mind and experience of Mr. Spurgeon. It comes with a mix of the theology of being a pastor and practical advice for leading well in the local church. All those past, present, and future leaders in the church will benefit greatly from this Christ-honoring and exhaustive work on pastoral ministry. Charles Spurgeon was known as the “Prince of Preachers.” He started following Christ at 16, preaching his first sermon the same year, and began his first pastorate only a year later at Waterbeach. He would later go on to pastor New Park Street Chapel in London for 38 years. Spurgeon was amongst the leaders of the Reformed tradition during the era, heavily defending the 1689 London Baptist Confession of Faith. He faced much opposition from those looking for a more pragmatic and liberal understanding of Scripture, which was prevalent in England at the time. He was also outspoken in his opposition to slavery. He never received any formal education during his lifetime. Despite this, he published over 1,900 sermons and preached a considerable amount more as well. He also authored works such as Morning and Evening Devotional, The Soul Winner, and others on specific theological topics. Charles Spurgeon was also known for some of the practical ministries he accomplished in his lifetime. Following the footsteps of George Muller he opened the Stockwell Orphanage for boys in 1867 and girls later in 1879. He also opened The Pastor’s College in 1857 for those training in ministry, which is the backdrop for this book.